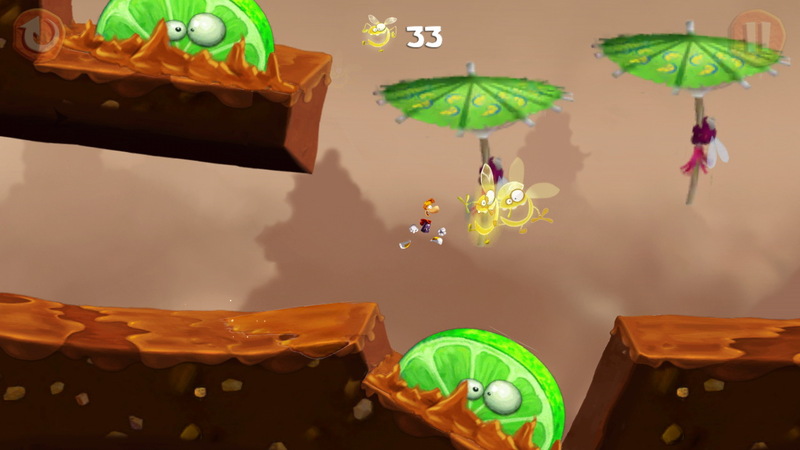 The Rayman series of side-scrolling platform games has been around since 1995, but Rayman Fiesta Run is only the second one made for touchscreen devices. 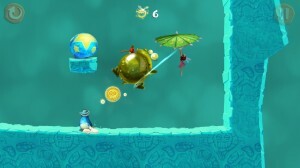 The previous one, Rayman Jungle Run, was a huge hit and developer Ubisoft obviously wants to recreate that success. How? Well, graphics and audio seem to be the answer. 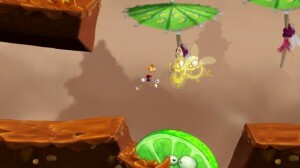 The visual style of Rayman Fiesta Run is fantastic. Ubisoft has gone in with a painted style that blends the old-school look of a hand-made cartoon and the polish of modern computer graphics. 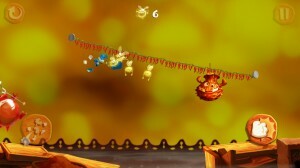 The colours used throughout the game pop and are vibrant, but never draw too much attention to them. It all gels well together and the end result is extremely pleasing on the eyes. 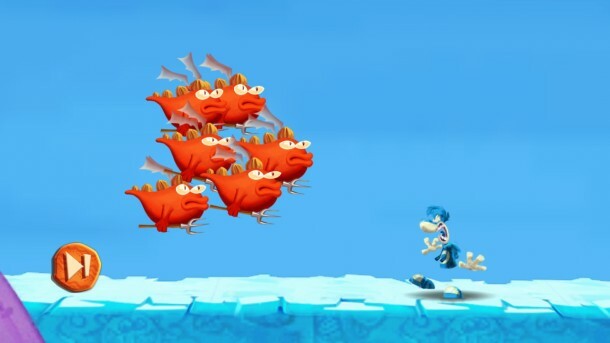 I’d like to make special mention of the character design in the game, be it of Rayman, his hero buddies Globox and Green Teensy, as well as the many villains you’ll meet along the way. 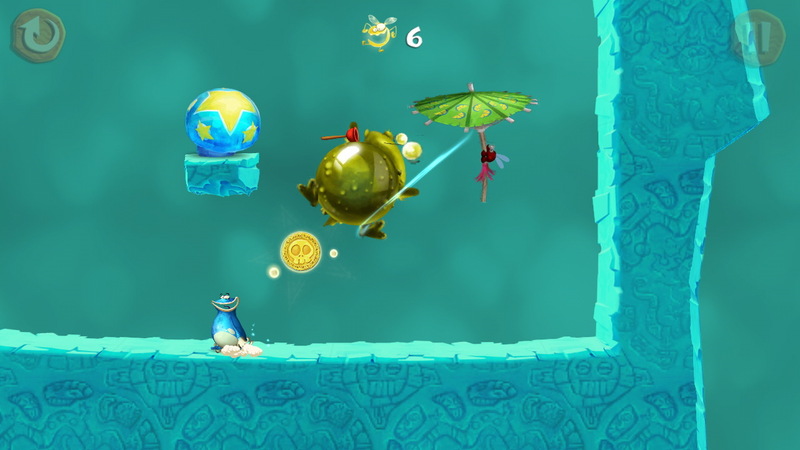 Even level elements, like the umbrellas you jump onto or the pixie-like ‘lums’ you have to collect, all have their own personality. It’s a small detail but it makes the game so much more enjoyable. 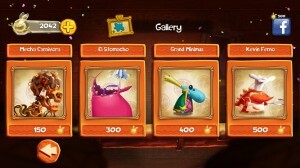 The game also unlocks artwork as you progress, which you can “purchase” using in-game credits. And the artwork is pretty darn cool too! 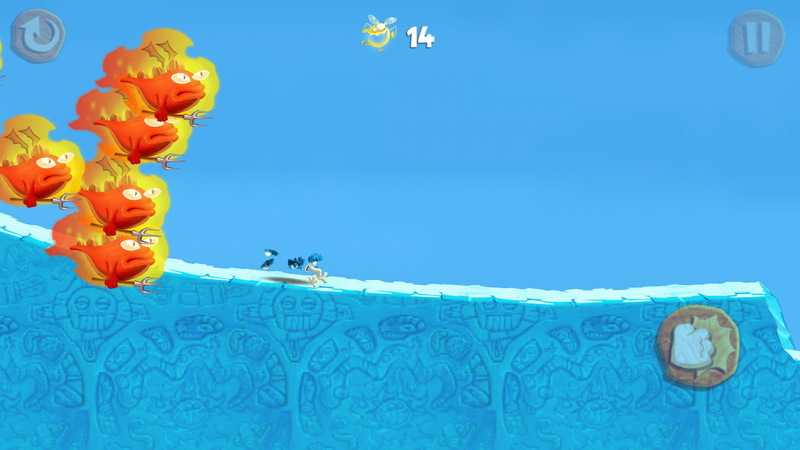 When you are playing Rayman Fiesta Run, do yourself a favour and crank up the volume. The background score is the best I’ve heard and makes the game what it is. 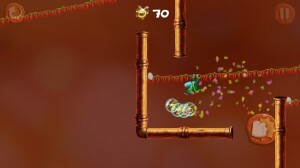 Ubisoft has used a set of mariachi-themed tracks that are fast, fun and joyous—this is the ‘fiesta’ of Rayman Fiesta Run. 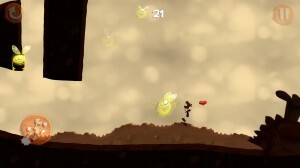 I switched off the sound and played the game for a while and without that peppy beat to keep up with the fast pace of the game, it just felt like any other side-scrolling platformer. 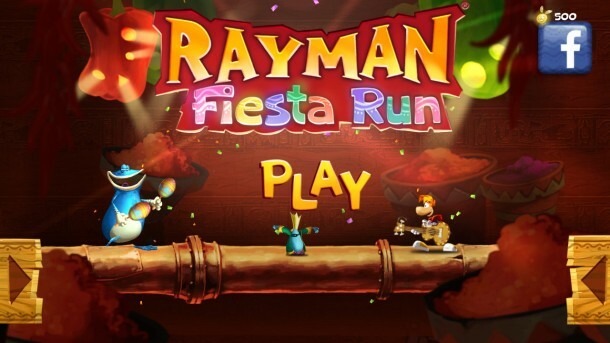 But with the music blaring, Rayman Fiesta Run becomes a whole new game, taking you on a crazy ride where you have to keep up with the quick pace of everything coming up in your way. The gameplay is simple. 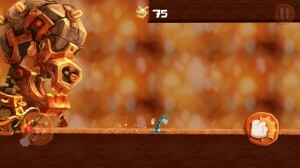 You hit the ‘Go’ button in any level and set off at breakneck speed. 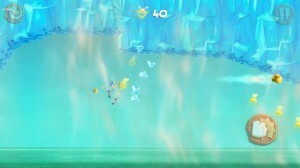 Tap the screen and Rayman will jump. 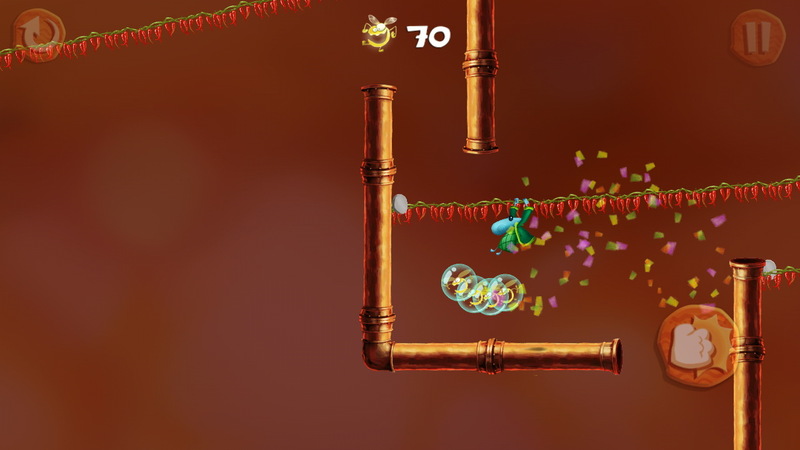 As you progress through the levels, you’ll gain different abilities, like being able to punch or shoot flying punches, gliding through the air and running up walls. Of course, when you gain these abilities, the complexity of the levels change to make you best use these new powers. 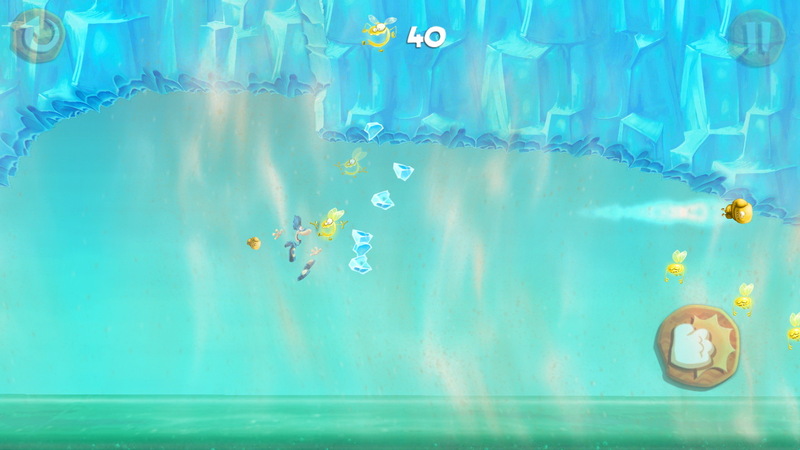 Since Rayman runs at full throttle, the game is largely dependent on how good your reflexes are when it comes to using the right ability at the right time. Get it wrong and you will miss out on the lums that you have to collect, or the skull coins that are essential to your fortune. 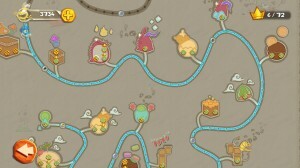 A perfect finish in the level (by collecting all lums and coins) gets it an “upgrade”—it’s the same level, only harder! 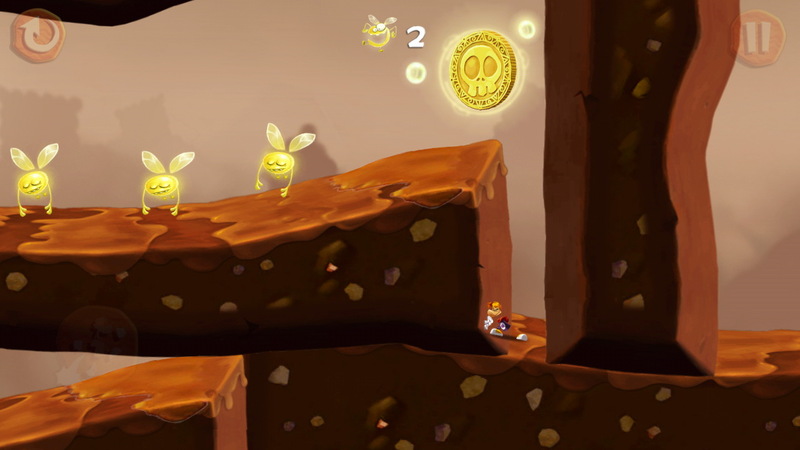 Some of the levels can be a little difficult, in which case, you can rely on the power-ups available at the start of a level, purchased using the lums you have collected so far. 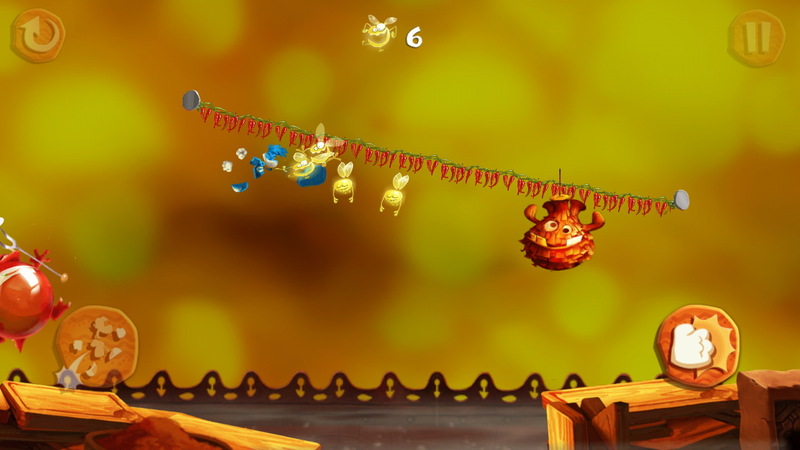 The power-ups include a limited or unlimited number of flying punches, protection from one or two hits, and a guide to show you how to complete the level using all lums. This last feature is particularly awesome because you can use it for the perfect finish and unlock the upgrade. 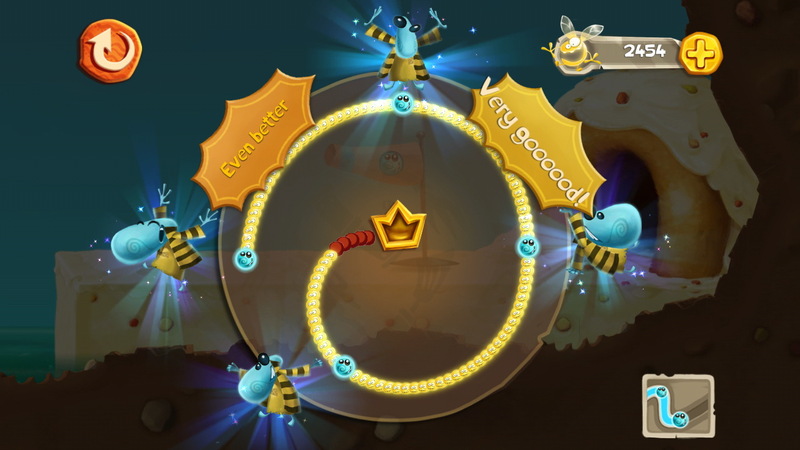 So fast is the game that you will often want to replay a level as soon as you’re done, just so you get that perfect score. 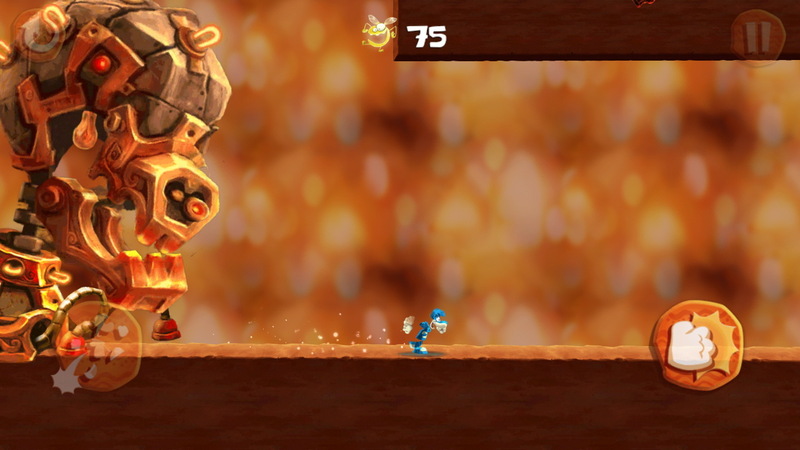 And because the levels are short and fast, it won’t really matter so much either. 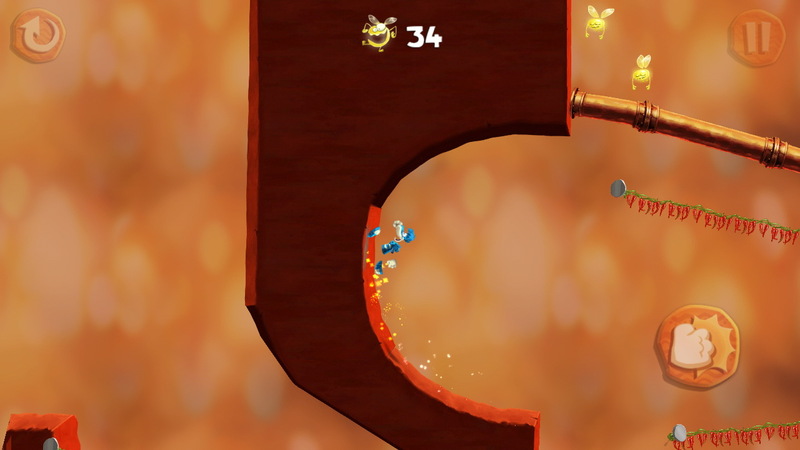 It’s easy for platform games to get boring very quickly because levels can feel repetitive. But Rayman Fiesta Run keeps things spicy by having a few different styles of levels. For example, there’s the ‘run from the screen’ variety, where you have to run away from an evil force coming in from the left. And it’s not always about gameplay either. 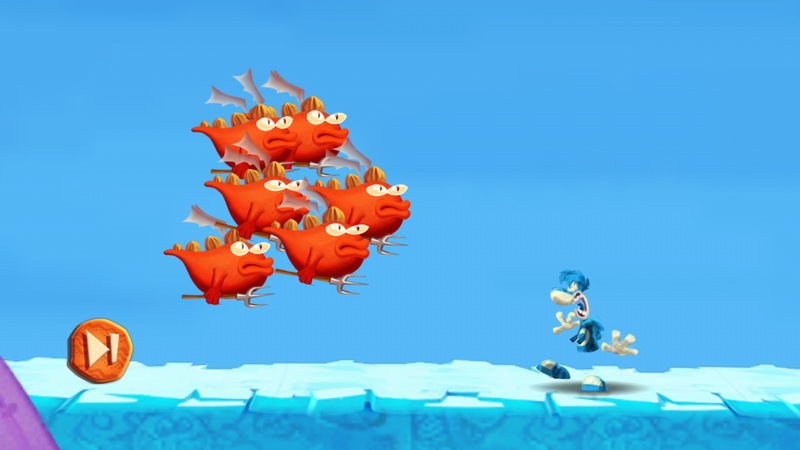 In some levels, Rayman is shrunk into a miniature form, so lums appear huge and monsters become giants. It’s visual relief from what you have been seeing so far, and that alone is enough to be entertaining and keep you hooked. You can also change the character you play as, choosing between Rayman, Globox, Green Teensy and their alter egos Raybox, Red Globox and Ninja Teensy, whom you come across in the course of going through the levels or buy with your lums. 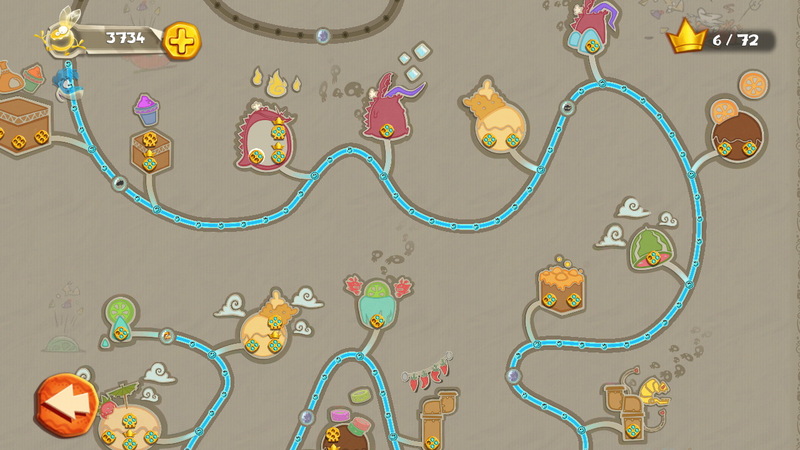 No game these days is without in-app purchases and this one lets you buy extra lums. But with the variety of the levels, I never wanted or felt the need to spend any more than the original amount I paid for the game. I always had enough lum. 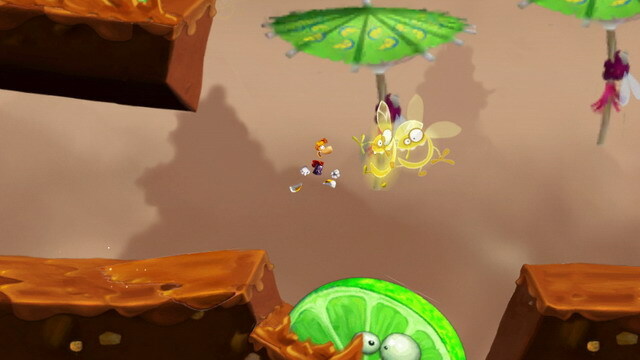 Rayman Fiesta Run is available for $1.99 in the Play Store, which isn’t too bad a price for this one. None of the side-scrolling platform games I have played have managed to be such good fun for a casual quick game as well as for continued long sessions. 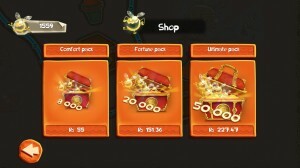 The reason I really think it’s worth the price is because after you pay it, you don’t have any need to be bothered by in-app purchases, since you can keep playing without ever needing to opt for those. 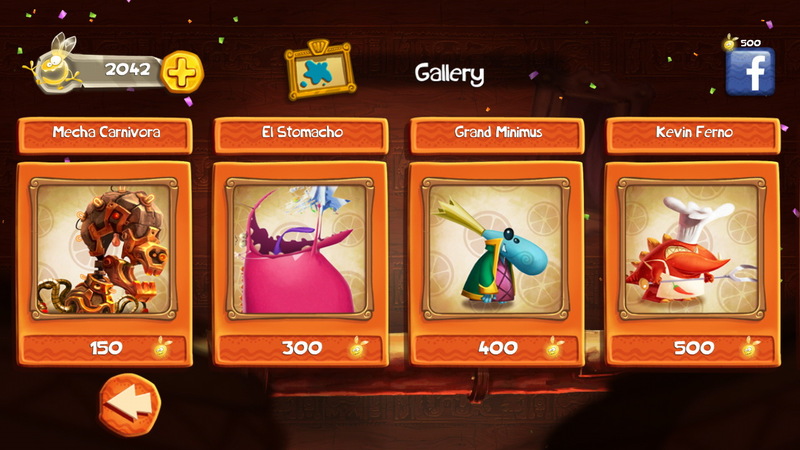 So go ahead and buy Rayman Fiesta Run. But before you start playing, make sure you dial the volume up!